Our personalized paper adds a level of sophistication to your home or office. Embrace personalized note pads as great gifts for kids, parents, friends, teachers and associates. When it comes to one of the most comprehensive selections of personalized memo sheets around, no one does it better. From pads in holders, monogrammed pads or pads in acrylic holders, you will find that and more at Mann Print and Design. 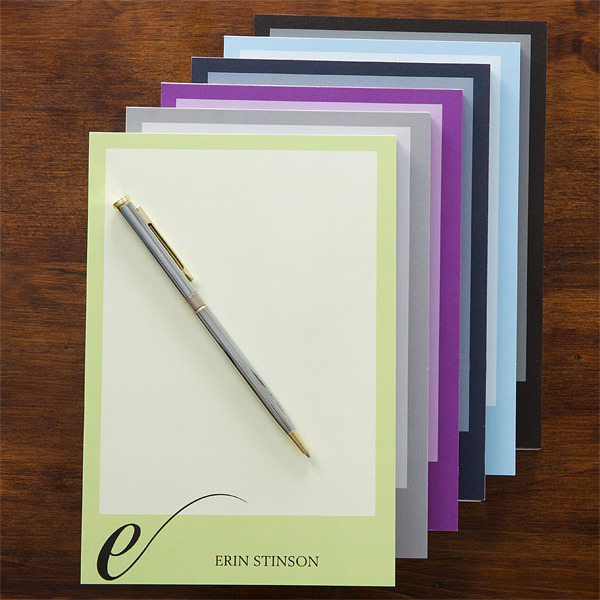 Add some glamour to a simple desktop and customization to all your note writing with our personalized selection of Best Seller pads, colorful pads, mommy pads, photo pads, and more. 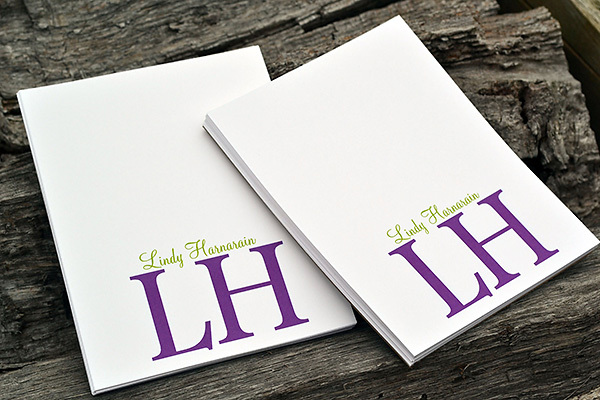 Truth be told, personalized notepads are one of the most practical and useful gifts. We have many options, sizes and colors to fit every need. We also offer great spiral notebooks in many styles and designs for something really unique and fun. For the office we offer a large collection of personalized Pads which makes a very unique and thoughtful present. A perfect idea for office notepads or home businesses, useful and practical. 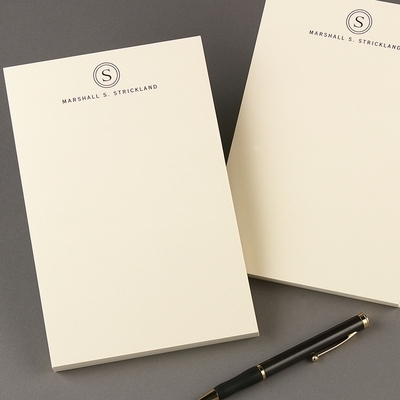 It’s always a great idea to have a personalized set of notepads to jot down notes on.